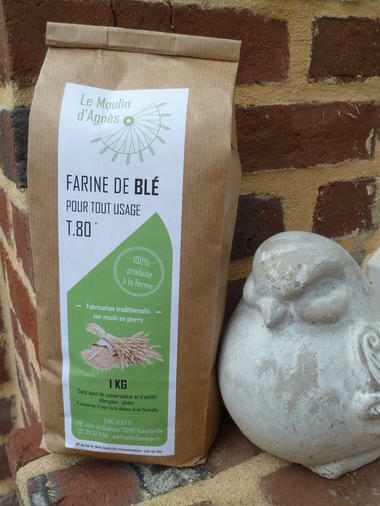 Agnès offers you wheat flour, 100% from the Ferme du Château. Wheat has traditionally been produced, stored and ground in the farm. The mill used to extract the flour is an Astrié type mill. The offered flour is a very fine flour, it contains essential nutrients for health! There is no review about Le Moulin D'agnès, be the first to leave one !